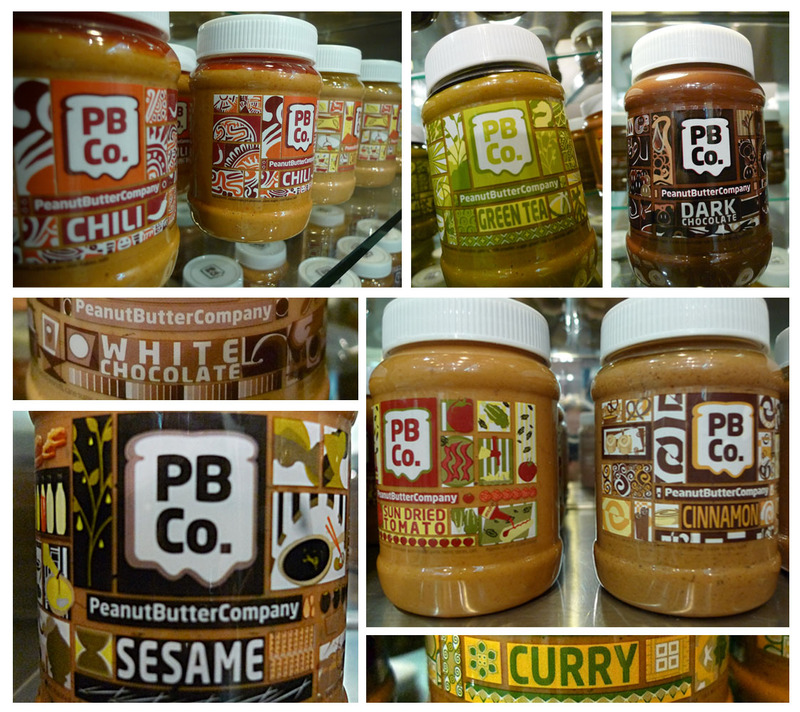 Welcome the Peanut Butter Company! I don’t travel to SM North much thus the late reaction. It’s a new concept that screams “fad” especially since peanut butter isn’t a Filipino staple but I’m hoping it stays instead. My blondeness must have seeped into my brain because I’ve been an PB lover since I was a kid confirming my American-ness. Right……Haha! Don’t expect a meal; head here to satisfy your craving for serious food tripping and happy food. I wasn’t audacious enough to pick “entree” worthy creations like the Roast Beef Sandwich (Cardamon Peanut Butter, Roast Beef, Gravy) or the Fish Diablo Spaghetti (Chili Peanut Butter, Spicy Tomato, Sauce). I opted for stick to the sweeter part of the menu which felt more natural. 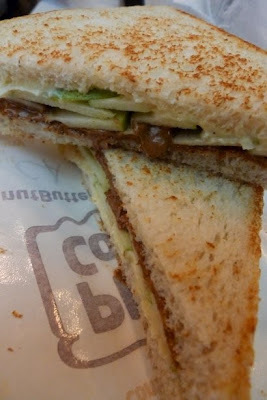 I got the Cinnamon Apple Sandwich (P135) which consisted of Cinnamon Peanut Butter, Green Apple and Vanilla Cream Cheese. It looked like a meaty sandwich which confused me but once I sunk my teeth in it I was giddy. It was like unicorns, fairies and no evil existed in my head. 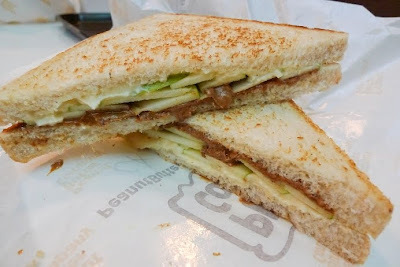 Tin got the White Chocolate Orange Sandwich (P135 – White Chocolate Peanut Butter, Orange Vanilla Cream Cheese) which was also fabulous but the Cinnamon Apple sandwich was better. You can take home a piece of the empire with their varied and never-before-heard of flavors. It’s insane! Say hello to the following flavors: -Creamy, Crunchy, Curry, Green Tea, Chili, Butter, Cardamon, Sesame, Cinnamon, Dark Chocolate, White Chocolate and Sun-Dried Tomato. I hope they have a peanut butter sampler just like appetizers to be able to try all the flavors. You’ve been warned, this joint has a niche market. I was elated because I AM a fan. If you’re not, stay close to the Sweet sandwiches first.